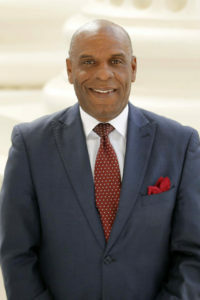 The California State Senate is set to consider Senate Bill 534, authored by Senator Steven Bradford (D-Gardena), a bill that will ensure diversity in California’s insurance industry. According to the California Department of Insurance, in 2018, California had the largest insurance. market in the United States, a $310 billion industry that covered housing, automobile, health, and life insurance – just to name a few. Given the rapid growth of California’s insurance sector, it is vital that state leaders push for greater diversity, equity, and inclusion across this sprawling industry. Sen. Steven Bradford (D-Gardena), one of California’s leading diversity champions, is the author of SB 534. If you think this isn’t a big issue, think again. In 2016, Greenlining opposed two proposed insurance industry megamergers – between Anthem and Cigna, and Aetna and Humana – in part because they had no plan for addressing their woeful records on diversity. When questioned about whether either company had a plan addressing this gap, they responded, in essence, “Ask us after you approve the merger.” This is unacceptable. Fortunately, both mergers were blocked by the federal government. SB 534 ensures that California’s insurance providers don’t relegate diversity to being an afterthought. This bill, which is being championed by two of California’s foremost diversity leaders, Sen. Bradford and Insurance Commissioner Ricardo Lara, will take important steps to guarantee that diverse communities continue to play a key role in how the insurance industry serves all Californians. Specifically, this bill will require the largest insurance providers in the state to permanently report their supplier diversity and governing board diversity goals, as well as their spending with minority-, LGBT-, women-, disabled veteran-, and veteran-owned businesses. Moreover, SB 534 will institutionalize the California Department of Insurance Diversity Task Force, which has played a key role in supporting the department’s efforts to increase diversity. Research shows that data transparency drives investment in diverse businesses. In 2012, California passed AB 53, which enacted the state’s first supplier diversity disclosure requirements on the largest insurance providers. As a result of this bill, insurance industry spending with diverse businesses increased by 93 percent – from $930 million to $1.8 billion – from 2012 to 2018. This was a significant boon for diverse businesses across the state that offered legal services, office supplies, advertising services, food delivery, and other important resources to insurance providers and their clients. According to the United States Census Bureau, in 2012, California led the nation with the most minority-owned, women-owned, disabled veteran-owned, and veteran-owned businesses – which means there is no excuse for insurance providers (or any large company) not to prioritize diversity. SB 534 will make these requirements permanent, allowing California to reap the benefits of increased partnerships between large insurers and diverse suppliers. In 2017, insurers across the state reported to CDI that nearly 80 percent of governing board seats were held by men and only 12 percent were held by people of color; of the nearly 2,400 board seats, only 14 members self-identified as LGBT; and out of 792 insurance companies, at least 13 percent reported zero women and 35 percent reported zero persons of color on their governing boards. In the most diverse state in the nation, these numbers are unacceptable. By formalizing a voluntary process for insurance providers to develop governing board diversity goals and regularly assess their progress, insurers will be able to better serve our state by increasing representation of marginalized populations among the most important decision-makers in the insurance industry. Insurance Commissioner Ricardo Lara has been a strong champion for expanding insurance access for diverse communities across the state. 3) California’s insurance industry diversity standards are a model – and we should celebrate that! The success achieved by California’s insurance diversity initiative has not gone unnoticed. Earlier this year, the Illinois state legislature drafted a bill that would enact very similar requirements to those initially passed in AB 53. SB 2623 seeks to follow California’s successful model by requiring the largest insurance providers in Illinois to report their supplier diversity as well. This type of success should be celebrated – and expanded! As more states catch on to what California is doing, it is vital that state leaders continue to innovate, which is why CDI’s Diversity Task Force must continue to function and thrive. This body, which SB 534 would make permanent, will allow the Insurance Commissioner to continue working with diverse businesses and advocates to ensure diversity across all aspects of the insurance industry. Other states – and other sectors – should follow this model. 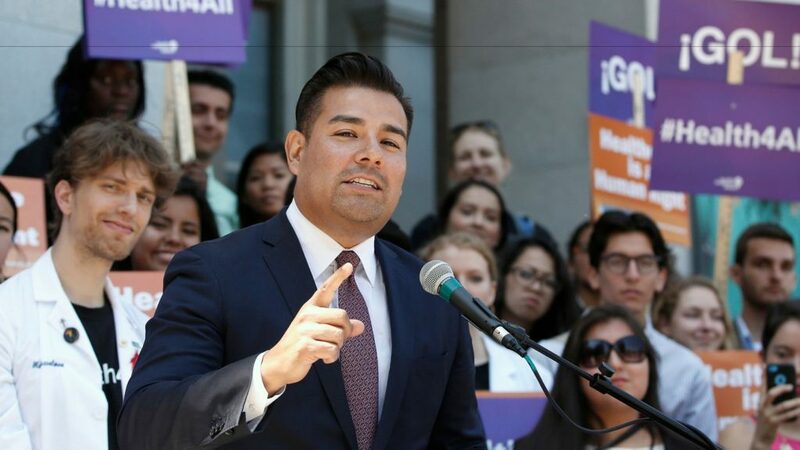 The insurance industry represents a vital part of California’s economy, and state leaders must ensure that diverse communities benefit from the continued success of this sector. If you would like to support SB 534 (Bradford), please send a support letter to Austin Panush, Legislative Aide with Sen. Bradford’s office. A fact sheet and sample support letter with instructions can be found here.